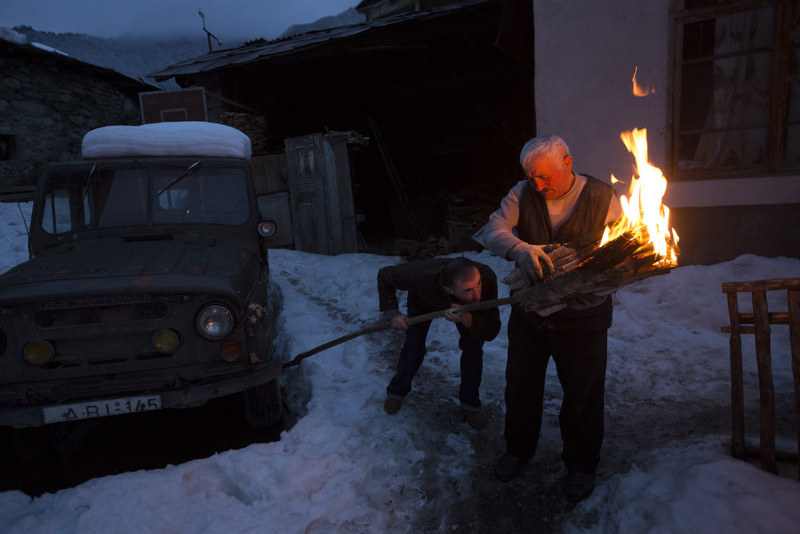 Merab and Murad Mchedliani prepare a Dece Lamprob (sky Fire). This mysterious tradition connected to Lamproba is a pagan tradition and each family asks different reques of God/Gods. In teh mchedliani family it was, generations ago, related to a request for "good eyesight."